The Fibromyalgia Association Created for Education and Self-help, inc. (commonly referred to as FACES) is an award winning, all volunteer, grass roots, tax exempt 501 [c] 3, nonprofit organization. FACES provides a monthly educational group, educational workshops, a bimonthly e-magazine. FACES seeks to build awareness of Fibromyalgia within the general population by providing educational seminars in the City of Chicago, networking with other Fibromyalgia organizations and any social service agencies that can help improve the quality of life of people affected by Fibromyalgia, and via the peer produced website. Mission Statement: Improving the quality of Life of people with Fibromyalgia via patient education and support services, and, public awareness programs. 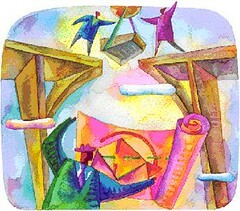 Through Education and Self-help . . .We can cross the Chronic Pain Bridge and Move from Passive Victim to Active Victor! This entry was posted in -_Chicago - Southwest, Civic Engagement. Bookmark the permalink.